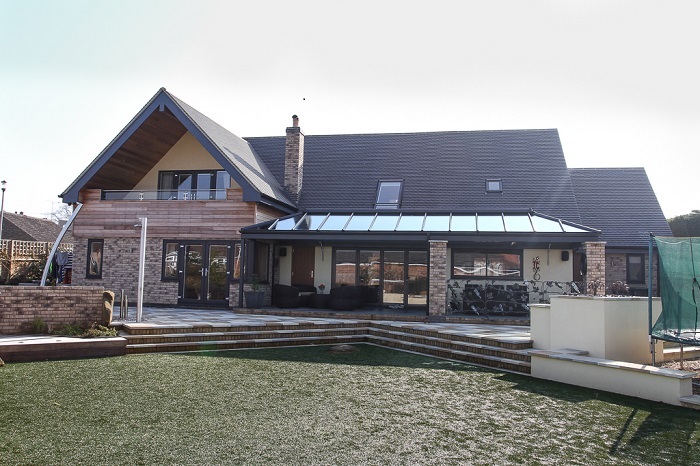 This self build project contains a variety of Choices products. 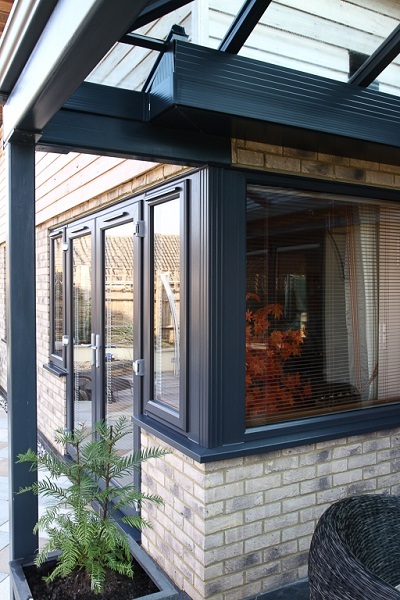 Windows on this elevation are Kommerling Anthracite 7016 grey grained foil which are energy rated ‘A’. 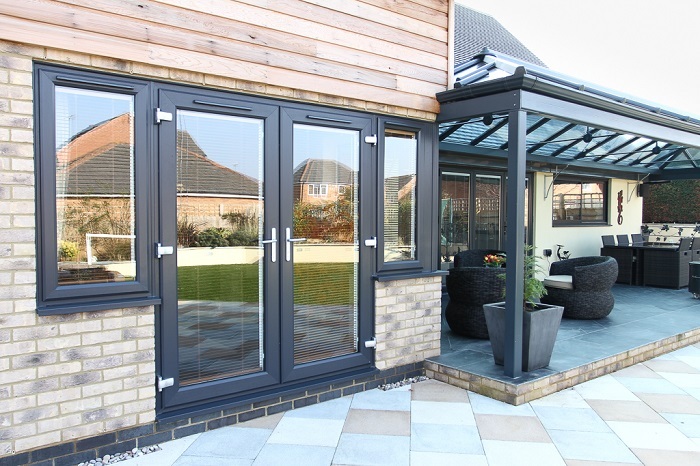 The client chose aluminium multi-folding doors and a temperature controlled conservatory glass roof, this combination offers easy access to the garden and created a perfect open air dining / relaxation area.